With elections just seven months away, Prime Minister Narendra Modi has shifted his entire focus on revival of the MSME sector, which may have suffered the most in the wake of demonetisation and the implementation of the Goods and Services Tax (GST). 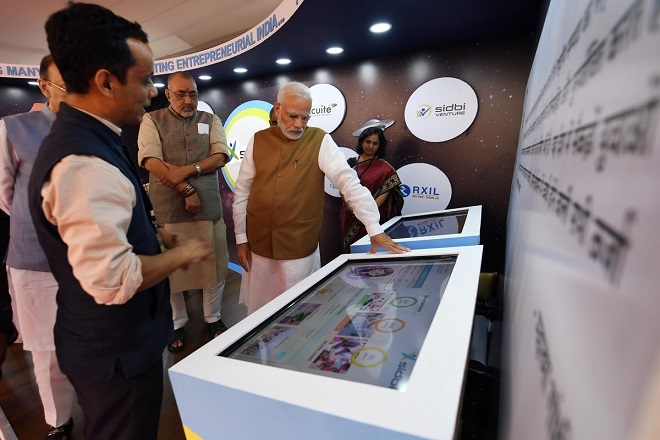 The prime minister launched ‘MSME Support and Outreach Program’ and announced twelve big decisions to support the growth of small businesses in the country. “The government has taken 12 decisions for the small industries which are like Diwali gifts for the sector,” the prime minister said. The GST-registered micro, small and medium enterprises (MSMEs) will be sanctioned a loan of Rs 1 crore in just 59 minutes through a new portal. Read how MSMEs can get loans in just 59 minutes. The GST-registered MSMEs will get 2% subvention or rebate on incremental new loans of up to Rs 1 crore. Interest subvention on pre- and post-shipment credit for exports by MSMEs has also been increased from 3% to 5%. It is now mandatory for companies with a turnover of more than Rs 500 crore to join Trade Receivables e- Discounting System (TReDS) so that MSMEs do not face trouble in cash flow, PM Modi said. Public sector companies, which were mandated to source 20% of their annual procurement from MSMEs, will now source at least a quarter of their requirement (25%) from the sector. All central public sector enterprises will have to take membership of the Government e-Marketplace (GeM) to facilitate online procurement of common use goods and services by various government departments and organisations. The government announced Rs 6,000 crore package to facilitate better technological support and tools to small industries. The money will be used for 20 hubs and 100 tool rooms for technology upgradation. The government will form MSME pharma clusters. 70% cost of establishing these clusters will be borne by the government. MSMEs will have to file just one annual return on eight labour laws and 10 central rules. Inspections of factories in the MSME sector will be sanctioned only through a computerised random allotment and inspectors will have to upload reports on the portal within 48 hours. MSMEs will now need single air and water clearance and just one consent to establish a factory. An ordinance has been promulgated to simplify the levy of penalties for minor offences under the Companies Act.